I you didn't know it, you'll be happy to know that Bon jOvi won for the best rock song with who says you can't go home at the people choice awards ! they were against the red hot chilli pepper and Evanescence ! Bon Jovi are the best !! Oh yeahhhhhhhhh , I knew that and I was very happy!! 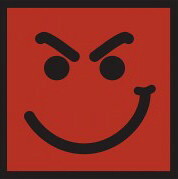 A lot of fans all arounds the world are voted for Bon Jovi, and they have win !!!! We were with us !! yeah bon jovi is the best !! bon jovi 4 ever !! yeahh ! it proves that their fans are the best in the world too ! So we are the best ! yeah ! Ho yeah ! I looove you Bon Jovi !! Hope they will win at the Grammy too ! Hope they will,but that doesnt matter,grammy is too commercial!we are last band standin!They really play! :)BJ ROCK!!! yeah ! last band standing ! BonJovi 4 ever !! Subject: Re: people choice awards !